Pain is a warning signal from the body. It is much like the “check engine” light on the dashboard of your car. The check engine light is there to tell you that you have an issue that needs to be resolved. Many people take the warnings of the human body as “non-threatening” and either ignore the warning or try to cover it up with over-the-counter medicine. Unfortunately, this leads to chronic pain more times than not. Once pain is experienced, you should stop what you are doing and determine the source. Up to 25% of the population deals with shoulder pain, but most times the pain does not come from a direct injury to the shoulder. 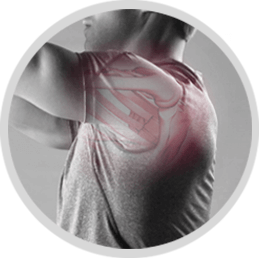 Shoulder problems are usually a result of something else in the body that is not moving or stabilizing the way it should. The best areas to foam roll are the chest, the upper back, and the side with the lats. 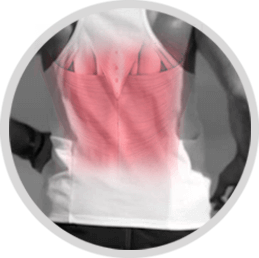 Low back pain is the most common type of pain and is a leading cause of disability all over the world. Going back to the ankle and the hip … if these two areas don’t move and stabilize appropriately then the low back can pay the price. Additionally, poor posture and sitting too much lead not only to hips that don’t move correctly, but also to numerous muscles in and around the trunk becoming weak and unable to provide support. To best address low back pain, rolling the hips and upper back is recommended to restore proper motion. Knee pain is one of the most common types of pain people deal with. 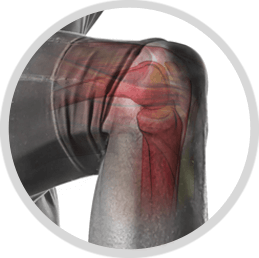 Although nothing is really “simple” when it comes to the human body, the knee joint is a rather simple joint. Most knee pain is not caused by the knee, it is caused by either the hip or ankle not moving properly, and the knee being the joint between them that pays the price. The best areas to foam roll when you have knee pain are the calves, the quads, and the hips. Foot pain is very common and for good reason. The foot is one of the most sensitive areas of the body and we tend to beat them up on a daily basis. Most people wear shoes that are too tight or too narrow, that have an elevated heel, or an overly cushioned sole, all of which can affect the positioning and dull the senses in the foot. This decrease in stimulus can cause the muscles within the foot to become weak or dysfunctional and eventually affect our stability. 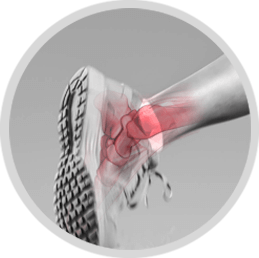 Chronic conditions such as plantar fasciitis, heel pain and tight calves often start as adaptations to prolonged imbalances within the foot. Pain can feel different for everyone but there are some similar qualities in types of pain that are beneficial to be aware of. The context of the current pain you are experiencing is very important. Have you ever felt this pain before? Are you doing something that you have done a million times and it has never hurt like this? Do you have health insurance? Has your doctor recently told you to be careful so you don’t hurt your back? Many things and current life situations can affect the pain you are experiencing. While some of these questions may initially sound silly, the human brain is incredibly complex and it is able to consider all of these things in the subconscious mind while you are going on about your day. For example, if you recently lost your job, and therefore your health insurance, you might maximize the severity of your pain without even realizing it. An ache is a dull, sustained pain. An ache is usually a signal from your body telling you that it doesn’t like what has been happening and that you could benefit to move. An example is the feeling of low back pain you may experience toward the end of a long day in the office. The human body was designed to move. If you don’t move enough it will tell you, and it is usually in the form of an ache. Severe pain is less common than people think. This is the type of pain that’s worse than anything imaginable and would cause you to seek immediate emergency room attention. It is important to remember that people have different pain thresholds and the same severity of pain may feel different to two individuals. Acute pain is usually much more specific and occurs as a direct result of trauma. An ankle sprain is an example of acute pain. Acute pain is actually a form of protection. Your body is signaling you to cease movement in that area so that it can heal.